Every parent has had the privilege of being the unofficial playground for their tots. Kids just love to climb all over grownups, regardless of how painful a poorly-placed little foot can be. Designer Atsushi Shiraishi at Tama Art University created the Athletitti Vest, a wearable device that turns you into a playground for your little one. The Athletitti Vest is meant to strengthen the bonds between parent and child, to encourage interactive play and, we assume, to give your kids appropriate places to put their fists and feet. 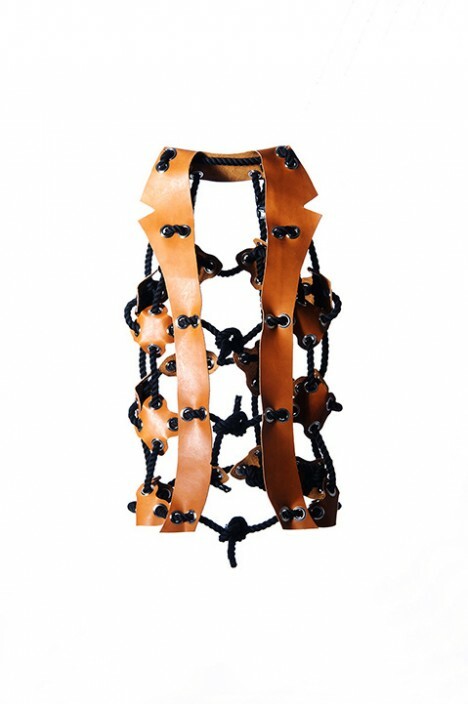 It looks a little like a primitive torture device: a narrow leather vest held together with thick black rope. 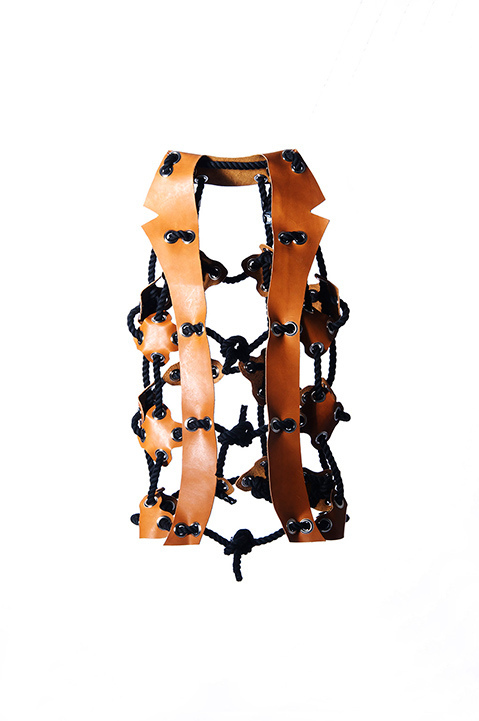 It ties around the front, effectively caging in the parent’s torso. 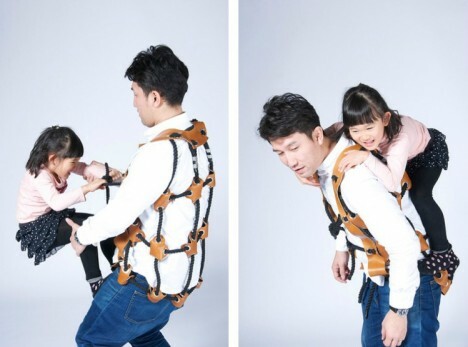 The ropes are sturdy handholds for small children, and because the vest is secured tightly on the body, Junior can climb, hang and swing all he wants. 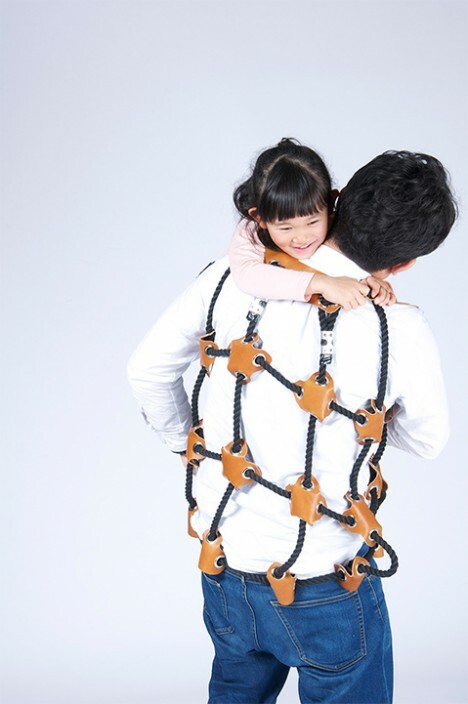 We can’t imagine it would be great for a parent’s back, but it’s a novel way to interact with your littlest kiddos while keeping them super-close.